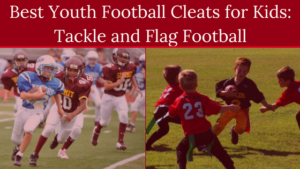 Find the best youth flag football leagues for kids, including pickup games and tournaments, in the state of North Carolina. 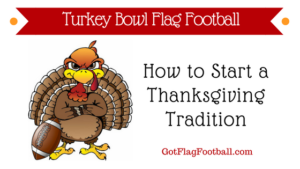 Below, parents will find the most up-to-date for 2019 list of fall, winter, spring and summer, indoor and outdoor local flag football leagues for boys and girls, as well as pickup games and organizations that offer tournaments, in order from the highest to least populated cities and towns in NC. 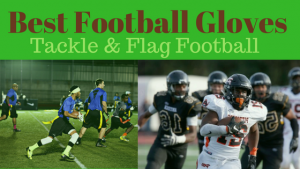 GotFlagFootball.com brings together the local youth flag football North Carolina community of city recreational leagues, organized independent leagues and tournaments in on alphabetically ordered list, so that it’s convenient to find a game for your child, in an area near you. 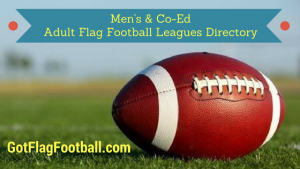 This organization previously offered a Fall Flag Football League, but that has recently closed down, leaving only a Flag Football Summer Camp. The Summer Camp is available for ages 5-14 years old, and runs three different sessions comprising of 4 6-hour days. The focus is on developing skills through drills, scrimmages, and instruction. There are two seasons offered by i9 in Wilmington – one in the Winter and one in the Fall. Both programs are available to boys and girls aged 4-14. The Fall season plays games on Saturdays, while the Winter program runs its matches on Sundays. Serving the communities of Wilmington, NC, Leland, NC and Jacksonville, NC, i9 Sports provides fun, safe and convenient youth sports, including flag football, soccer, basketball, t-ball and cheerleading for kids 3-14. This group offers a day camp for children aged 5-14 years old. Sessions are run in the Summer, and children have the choice of a 1/2 day (3 hours) or a full day (7 hours). It involves drills, team building exercises and full games to help kids develop the fundamental skills of football. This is an outdoor league available for children aged 5-12. Each team must have a minimum of 6 players on the field, and a maximum of 8, though both teams must have the same amount of players. There is a strong focus in this league on ensuring the coaches harbor an enjoyable environment for the children involved.